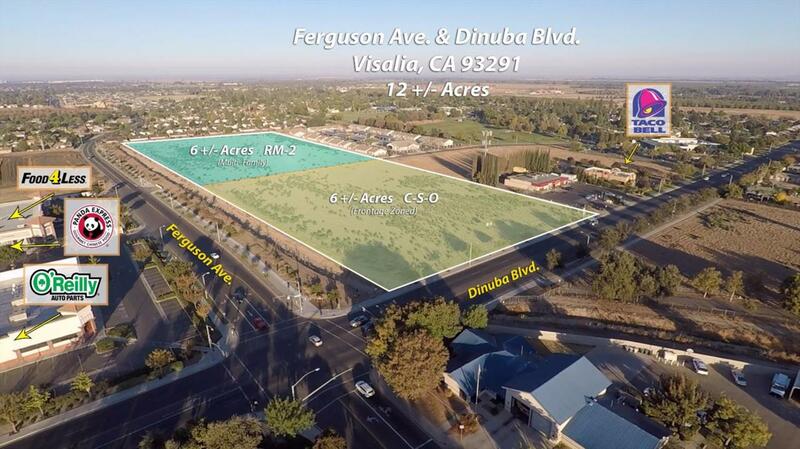 12 +/- acres on Dinuba blvd frontage. 6.0 +/- acres frontage zoned C-S-O and 6.0 +/- zoned RM-2 back end multi-family. Located in a growing business development.